San Francisco is a city that differs from anything else you might have seen. It is considered one of the top tourist destinations in the world and the most important cultural capital in the United States. A trip to San Francisco promises a long lasting memory that will enrich both spirit and soul. San Francisco requires a very good mood and desire for new discoveries. Don't let practical matters get in the middle. Resolve the problem of transportation with just a simple click at www.vanrental24.com Van rental will make your transportation a piece of cake. Get your minivan and start the final countdown for the journey of your life. 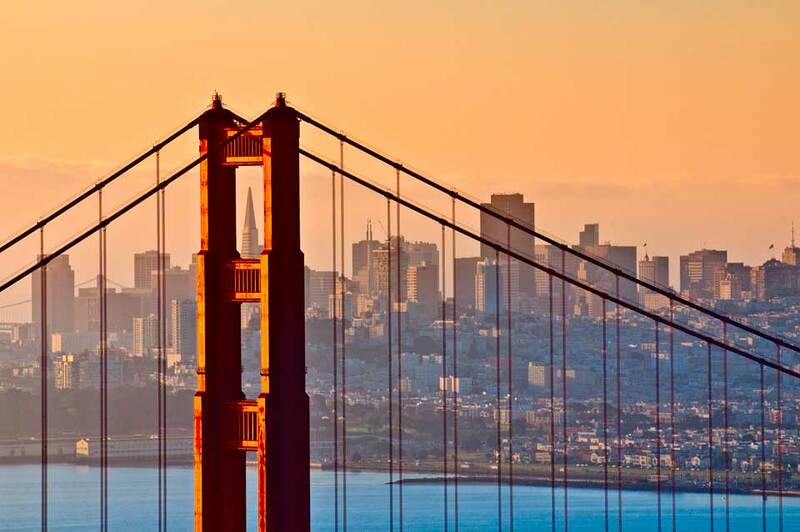 San Francisco is the leading financial and cultural power of Northern California. The city has a great impact on everyone who has the chance to see it from up close. When someone talks about San Francisco the first thing that comes across his mind is the Golden Gate Bridge It is one of the most famous symbols of San Francisco.Its fame goes beyond the borders of the United States. Its is an Architectural masterpiece that many rank as one of the wonders of modern age. A visit here will make you think how far human creativity can go. Continue your wandering and visit the Alcatraz Island where the erstwhile famous inaccessible prison was at its peak. Here you will see the oldest operating lighthouse on the west coast There is also the well known building 64 the first building ever constructed on the island for accommodating military officers and their families. Visit the Fisherman Wharf a tourist sight which attracts hundreds of visitors daily.It is the absolute heaven for all food lovers across the world. Unique restaurants with fresh seafood are ready to tickle your palate. There is always something new and exciting going on at Fisherman's Wharf. You must certainly ride a cable car .As a cable car goes up and down the hills of San Francisco you will feel as if time went back and you have escaped from the pages of a novel. If you want to explore the city in full detail leave everything to Mini van rentals drive as far as the fantastic ocean beach and spend a day that you will never forget. Continue your drive to Golden park Gate and see a true green oasis unfolding in front of your eyes. 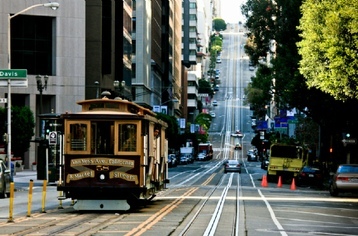 San Francisco is for travellers that know what they are looking for after all it is a place with a strong personality. If you want to return from San Francisco with a suitcase of memories a 12 seat mini van rentals guarantee the perfect result. The top and most successful businessmen from all over the world often visit the financial district of San Francisco a neighborhood where the largest firms with the greatest financial influence are located Here every minute counts and new developments happen constantly, nobody knows what the next second will bring. In a such difficult environment every professional wants to always be in touch with his offices even when he is on the go. Van rentals provide the perfect conditions for you to work while you are travelling everything is a top priority and van hire is the top choice.